DOHUK, Iraq – A local driver working with a team of journalists from NBC News was killed in an explosion in eastern Syria, said the news network's president in a statement. President Noah Oppenheim said "a unit" Had exploded near the group on Saturday and killed the driver, but did not harm the rest of the team. "We still gather information from today's events and are in contact with the driver's family to support them, but we can" Mr. Oppenheim said. The explosion occurred a number of hours after US-backed militia fights the Islamic state in Syria, announcing the end of the jihadists' control over any territory in Iraq and Syria. The destruction of the jihadists' so-called caliphate, which was once as large as the United Kingdom and ruled over millions of people, marked an important milestone in the fight against the terrorist organization. But American officials and Syrian warriors have warned that the group is not defeated, but has returned to its rebellious roots and continues to kill lethally. 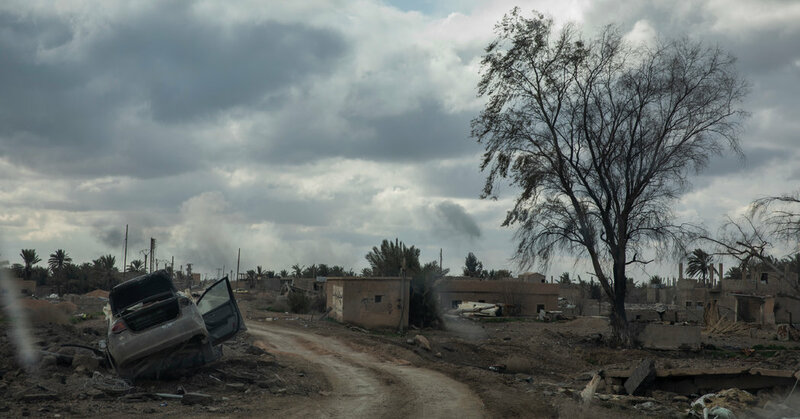 NBC had been among the dozens of news stores reporting the struggle to push the Islamic state out of its last patch, near the village of Baghouz in eastern Syria. Following the announcement of the end of the Caliphate NBC correspondent Matt Bradley went through the ruined village of Baghouz and talked about how many of the Islamic states' supporters remained committed to their ideology. "Although the caliphate may be dead, Islamic state, as we know it, may still be alive," he said. The explosion that killed the NBC team driver took place after this report, but it was not immediately clear whether the group was targeted. A US-led coalition that fights the Islamic state has heavily bombed the area and raises concerns over unexploded ordinance that may remain.